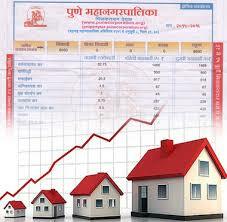 PUNE: There would be no extra property tax burden on citizens in the next financial year. The standing committee of the Pune Municipal Corporation (PMC) rejected the proposal of property tax hike following the elected members' strong opposition to it. The civic administration had proposed a 15% increase in property tax in the draft municipal budget. Murlidhar Mohol, the chairman of the standing committee, said, "The elected members cutting across party lines said measures such as organising Lokadalats should be taken to recover the tax arrears. Arrears of not only the tax but even penalties charged on the dues are huge. If the dues are recovered, there will be no need to hike the tax. An amnesty scheme can be introduced for encouraging tax payment." Civic activists had opposed the property tax hike, stressing that it would not help the civic coffers in the long run. They had demanded steps to recover the dues from the property owners. The property tax collection is based on the annual rateable value (ARV). Once fixed, it does not change. Municipal commissioner Kunal Kumar had proposed a 15% increase in property tax in the Rs 5,397-crore draft budget for 2018-19 presented on January 22 to shore up the civic finances of PMC when its income sources were dwindling. The proposed property tax hike of 15% comprised a 4% increase in general tax, 4.5% in cleaning tax, 0.5% in fire service charges, 1.25% in water benefit tax, 2.25% in education tax and 2.5% in water treatment benefit tax. The civic administration had expected to rake in Rs 135 crore in the next fiscal with the revised property tax structure. The draft budget for 2018-19 was Rs 200 crore less than last year's Rs 5,600 crore budget — the highest ever. The administration had proposed a 12% hike in property tax for this fiscal also. But that too was rejected.